The model you see in the Thingiview is the lower quality model, I included the regular and high quality models. They are too large to display in Thingiview. 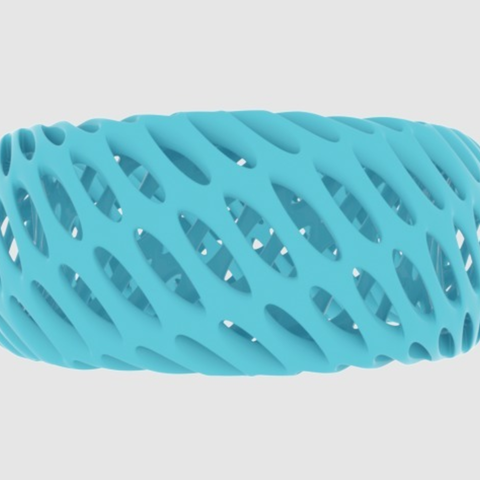 The bracelet is 2.5 in (6.35 cm) in diameter. The average bangle bracelet size is 2.3-2.5 in. Super quick design. 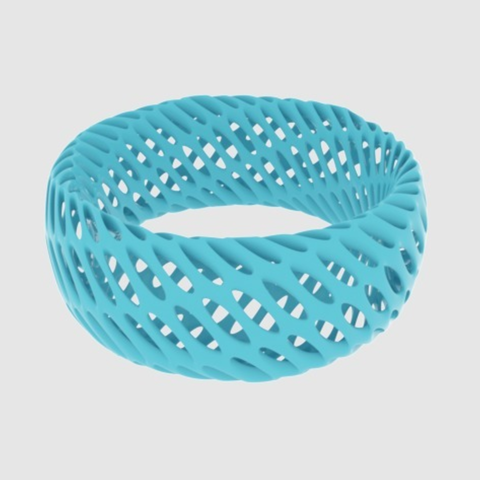 I made a twisted torus, scaled it up to make it tall but thin, applied a hexagon texture map, inset by polygon and deleted the faces, shelled it outwards 1 mm, and finally used turbo-smooth.